Well, I had a nice but busy weekend. We did get to enjoy the 82 degree temps on Saturday as we made our way to a new Vineyard. I hope to write some posts on our vineyard hopping throughout the summer as it would be a great way for me to note certain wines and how we enjoyed each place. 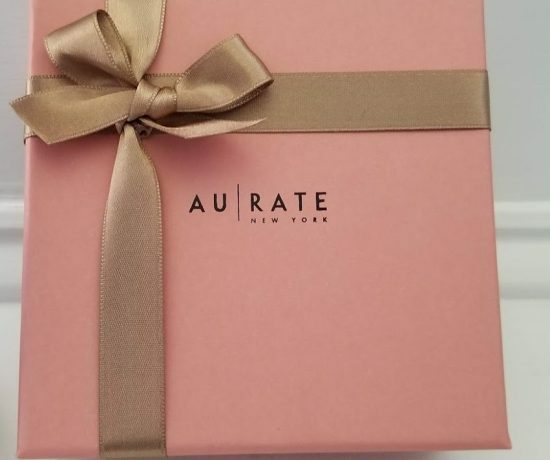 Yesterday I wrote about choosing gifts for Mother’s Day via Uno Alla Volta, so if you are looking for a one of a kind piece , check out my post HERE. Saturday was Truffles birthday! She is now 8 yrs old and I can’t believe it! She still acts like a puppy and loves to play with her plush beehive/squeeky bees I got her as a gift. She picks up the whole bright yellow plush hive in her mouth and runs throughout the house. My hubby put her bed by the window to look outside and she can sit there for hours staring at I don’t know what? I don’t know if I ever mentioned, but she didn’t bark for 2 years until we got Gibson and now her bark sounds like a high pitched talk.. so weird and funny! I tell them all of the time that I love them “to bits”! At the vineyard, the guitarist sang Happy Birthday to Truffles and a woman came up to tell her that ” she doesn’t look 8″ haha! I had to laugh, as I thought it was funny that this sentiment spilled over to dogs. How does a dog look 8? I hope to write about this vineyard for Friday’s post, so please stop by! I think by know we now that pink is a color that is trending now. I can’t say I have always worn pink but now my closet has quite a few pieces. I love the soft pink of blush and some bright pinks. I wore pink yesterday as one of my fav dresses by ASOS. Today I decided to pair my pink top with this bright floral pencil skirt. I wanted my Betsey Johnson blush sandals to take the stage today! I have been on a bit of a shoe spree lately, and you will see what I mean in upcoming posts. I think because I can now wear more block heels and that they are plentiful, that I have unleashed the “inner shoe beast” in myself! When I saw these pearl block heeled blush sandals I knew they would fit perfectly with my Spring wardrobe. Fun! And with a 2 inch heel, doable. In yesterday’s post, I wrote about the jewelry I received from Uno Alla Volta. You saw my dragonfly opal earrings from them, and the scarf. Today I am wearing these beautiful pearlized looped colorful fan earrings and necklace. I love them! They are elegant and go with much of my closet. ** c/0 the jewelry was gifted by Uno Alla Volta. All opinions are truthful and mine. Are you a fan of Pink? Have you added any to your Spring Wardrobe? Now… Let’s party!!! Thank you for being a part of Turning Heads Tuesday. Please do follow me on Instagram, Facebook. Please be curteous and comment on at least 2 posts per person. This is how we all get more traffic and meet people! Most clicked : Anna of Looking Fabulous at 50 shares this darling preppy look. Happy birthday to Truffles! I love this skirt. It’s cute and classy. I in general love bold floral prints. Thanks for linking up with Jennie and I for Fabulous Friday! Thanks for linking up to the Top of the World Style. These shoes are head turners. Great find! These are must haves for your wardrobe! Oh my gosh Jess! That color on you is amazing! You can wear pink like no other!! Thank you for hosting. Hi Anna, Thank you, appreciate Truffles Bday wishes! I couldnt pass up the heels and have to try socks with my heels as well! love it. love the bright colors! The shoes are so cute!!!! An absolutely gorgeous combo for spring. Everything about it fits you perfectly and you look fantastic! Love all details in your outfit here, so amazing combine! These heels are fabulous! Love your shades of pink. Hope you had a great Easter! This outfit is fabulous, Jess! I love the shoes and the jewelry is so pretty! Happy bday truffles! I’m a HUGE fan of pink! I love how you styled your gorgeous statement shoes! Hahaha block heels do have a way of unleashing a beast in all of us! Such a cute outfit! You are rocking that skirt Jess. Love those fun shoes with pearl heels as well. You look so pretty in pink! Love that jewelry! Such a beautiful look and those pearl heels are so special! What a beautiful bright look. You are ready for Spring. Your sandals and skirt are so pretty, Jess and I love the earrings too. These shoes! I am in love. Beautiful, colorful outfit – you look amazing! As my grandson would say…those shoes are SUPER COOL! Thanks for the link up Jess. You look amazing in your floral skirt, and those shoes are gorgeous! I’m loving this floral look, lady- so bright and happy! Yes, I love pink and have several articles of clothing in pink. You look terrific in pink and, again, that jewelry is absolutely lovely! Love the outfit! I’m all about some pink! Looking so fresh and pretty in pink Jess! Love the necklace and earrings, adorable! Oh those heels—love the pearl detail! I have actually been looking at a pearl-embellished pair for myself. Such a pretty spring outfit! Now those are some fabulous shoes, Jess!! Why not have a party in the back of the shoe??? You look fabulous and Happy Birthday to Truffles—our pets are so important to us, aren’t they?? I absolutely love this look Jess! The color is amazing with your hair. Those are exactly the sort of sandals I love, very stylish but not too high heeled. I’ve got a new pair of pink sandals with silver block heels which I plan to show off very soon in the blog. Your summer of wine tasting sounds a superb idea! Happy Birthday to Truffles! Sounds like you all had a great time celebrating! Looking forward to the vineyard post! And, yes, I like pink a lot, but I don’t have a lot of pink in my wardrobe anymore. Most of the pink I own is in the form of accessories. I may have to add one or two pink pieces this seasons. I really love this outfit! The skirt and the top are beautiful, and the jewelry goes perfectly with it. What pretty pieces! And I just love the shoes! The pearls detail is so pretty and fun! Love this colorful look! I’m obsessed with those sandals! So fun! I love your attention to fun detail Jess!!! You shine in thee brights and what FUN block sandals!!! This outfit makes such a sweet statement and you look gorgeous!! I love the pearl detail on your sandals, so pretty! Gorgeous, Jess! Every details just makes this outfit. Love the sandals and jewelry! I love the little details that make your outfit so wonderful. Gorgeous outfit, Jess! I do love all those colours on you – the necklace and earrings are divine. As is the crossover top, colourful skirt and pretty shoes! Beautiful, as always. The shoes are perfect with the jewelery! Fantastic skirt, I love all your floral items! You look beautiful in pink too, so it’s great it’s trending! All the pink pieces work perfectly together. Love those sandals Jess, such great detailing on the heels and the necklace and earrings are gorgeous. Off to check the site out. Such a lovely outfit. I adore the floral skirt and the jewel detail in your sandals and accessories. You look fabulous! Thanks for hosting.